The “Hunting Suite”, offering a footed bath and separate shower, is enhanced by the rich colors of the forest and traditional animal prints. As La Verriere is located in a nature reserve, this room celebrates the incredible biodiversity of the surrounding landscape. During the four seasons of La Verriere an abundance of furry and feathered fauna makes itself known: hare, martens, deer, owls, falcons and eagles, but the Lord of the Woods is undeniably the much mythologised wild boar. Loathed and loved in equal measure by locals, he is the mascot of the area. 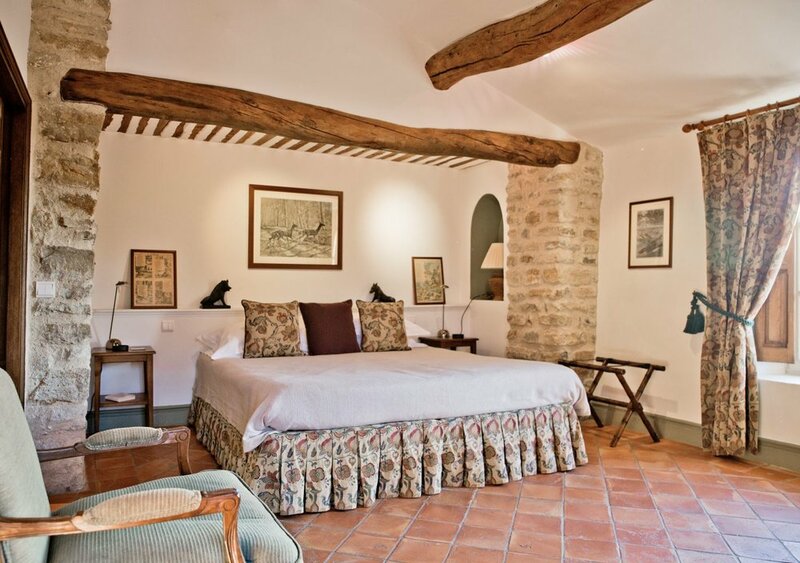 An antique French bishop’s bed, a much-travelled family heirloom, sleeps an additional guest in the antechamber.